The United States is one of the few nations to have participated in Miss World every year since the pageant's inception in 1951. Despite this, Miss World have had a difficult ride in the United States throughout the pageant's history. The nation have managed to place 48 times in 67 years, winning the title three times with Marjorie Wallace (1973), Gina Marie Tolleson (1990) and Alexandria Nichole Mills (2010). Among the representatives are Lynda Carter (1972) who landed the leading role in Wonder Woman back in 1975, and Halle Berry (1986) who won an Academy Award for Best Performance by an Actress in a Leading Role in 2002 for her role as Leticia Musgrove in the 2001 film Monster's Ball. The United States is the only nation in the Americas that have hosted the Miss World pageant. The 41st Miss World pageant was held at the Georgia World Congress Center in Atlanta, Georgia on December 28, 1991 and the 66th Miss World pageant was held at The Theater at MGM National Harbor in Oxon Hill, Maryland on December 18, 2016. 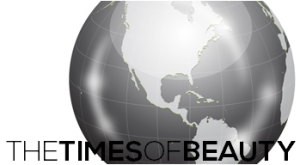 The Times of Beauty compiled some historical information about Miss World in the United States from different sources and is presented herein. The first runner-up of Miss USA went to Miss World between 1953 and 1957. Alfred Patricelli was license holder of Miss World in the United States from 1958 to 1977. From 1958 to 1961, the winner of Miss United States went to Miss World. From 1962 to 1966, a Miss USA World pageant was held annually. In 1967, the Miss World USA pageant began and was held every year until 1977. The editions of 1978 to 1980 were held as Miss World America and organized by Griff O'Neil under BBS Productions Inc.
After Miss World America concluded, Miss Universe Inc became the license holders of Miss World in 1981 and the second runner-up of Miss USA went to Miss World 1981 and subsequently the first runner-up of Miss USA went to Miss World between 1982 and 1991. From 1992 to 1997, Richard Guy and Rex Hold, "GuyRex", were the national directors of Miss World in the United States and organized the Miss World America pageant in 1992 and 1993 and a Miss United States in 1994. The winners of the three pageants organized by GuyRex between 1992 and 1994 went to Miss World. GuyRex discontinued the pageant in 1995 but handpicked a representative from 1995 to 1997. As an interesting fact, the United States national pageants for Miss World in 1993 and 1994 were merged with the Mexican national preliminaries of Miss World. Therefore, the Miss World representatives from United States and Mexico were selected at the same event in 1993 and 1994. In 1998, Hirsh Wilck succeeded GuyRex and became the license holder and sent contestants from 1998 to 2000. In 2000, an online contest was organized by Wilck in partnership with internet company, iLive. The winner, Angelique Breaux, was crowned in an event held in Los Angeles, California. In 2001, the Miss World organization asked Pageantry Magazine to choose a contestant for Miss World 2001 since they did not have a license holder at that time. They handpicked Carrie Ann Stroup with the approval of the Miss World organization and was crowned in a ceremony held in Orlando, Florida. In 2002, Jean Renard and Miss World Holdings Inc, became license holders and handpicked Rebekah Revels. They dropped the license afterwards due to legal issues with Revels. In 2003, Bruce Vermeulen and Geoff Kearney founded the US Miss World Organization. They chose the 2003 representative by mail-in entry and telephone interviews and in 2004 they held the US Miss World pageant in Dallas, Texas. In 2005, Barbizon Modeling became license holders and organized the US Miss World pageant in San Francisco, California. In 2007, Neil Hamil and Elite Models, became the license holders of Miss World in the nation. 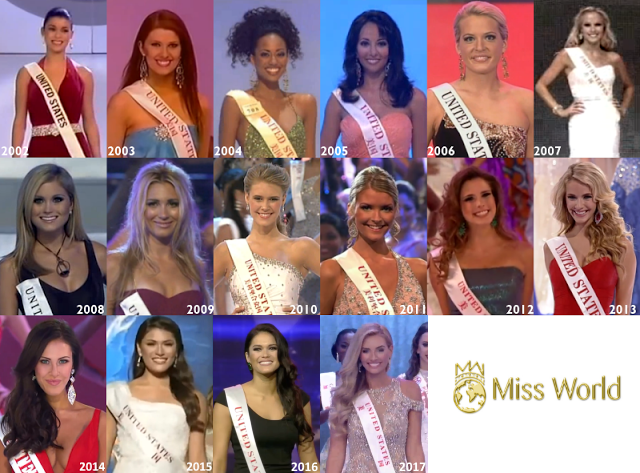 The agency handpicked their contestants from 2007 to 2011 without a national pageant. During this time, it was common to know who was going to represent the United States in Miss World a week or two before the international pageant began. Among their designees was Alexandria Nichole Mills who in 2010 became one of the few Miss World winners to have won the international pageant without winning a national pageant. Mills, in an interview with The Kentucky Standard after her reign, indicated that "the license holder for Miss United States World hand-selected me to represent the United States". It is unknown to this date who was in charge of selecting the contestants in 1951, 1952, 2006, 2012 and 2013. In 2012 there was an audition process to examine the backgrounds and charities of the contestants but the person who organized this audition is unknown. In 2013, the Miss World representative was crowned at Crown Diva Boutique and Pageant Academy in Santa Monica, California. However, it is unknown if the Miss World Organization asked Crown Diva to choose the representative. The 2012 and 2013 contestants were living in the same area of Los Angeles County in California at the time of their selection. On July 6, 2014, it was revealed that Christopher Wilmer became the license holder of Miss World in the nation. Wilmer sent the winner of Miss United States 2014 to Miss World and later organized the Miss World America pageant in 2015 and 2016. On March 8, 2017, it was revealed that Lynne Scott Safrit and her daughter Elizabeth Safrit became co-national directors of Miss World in the United States and the national pageant, once again, was renamed to America's Miss World. They held their first pageant on August 2017. Their directorship lasted less than a year after relinquishing the license on January 2018. Weeks later, the Miss World license was taken over by Michael Blakey -president of Electra Star Management- and Liz Fuller and they will organize the Miss World national preliminary in the United States from 2018 on.